Closed to the outside world until the seventies, Bhutan may have opened the door to tourism, but it remains something of an enigma to modern travellers. Nestling high up in the Himalayas, Bhutan's mysterious reputation is thanks largely to the government, which requires all visitors to join pre-planned guided tours in a bid to limit the impact of tourism on the country's culture and environment. On one level, this is restrictive; footloose, freewheeling, make-it-up-as-you-go trips are not an option here. The trade-off, however, is that these restrictions have preserved one of the most fascinating cultures on earth, in a pristine mountain environment that has changed little over the centuries. To visit Bhutan every visitor, whether alone or in a group, must make all their travel arrangements through a Bhutanese tour operator, or associated organisation, and pay a fixed daily fee of US$200-250. However, before you baulk, this fee includes all meals, accommodation, transport and guides. Having made this investment, travellers are then free to explore this mesmerising mountain kingdom, known to its people as Druk Yul, or "Land of the Thunder Dragon." Some tour the ancient dzongs (fortress monasteries) in the valleys surrounding the capital, Thimphu. Others seek out snow leopards and yetis – known here as migyur – in remote national parks. Those with the stamina and budget take on the legendary Snowman Trek, a 24-day odyssey over high Himalayan passes. Wherever they go, visitors will encounter exquisite scenery and the famously friendly Bhutanese people, who, though fascinated by foreigners, remain in touch with the value, and values, of their traditional way of life. By subscribing to a "high value, low impact" brand of tourism, Bhutan has made concessions to the modern world, but on its own terms. And that seems to be working for this magical kingdom, which regularly polls as the happiest place in Asia. 38,364 per sq km (14,812 sq miles). King Jigme Khesar Namgyel Wangchuck since 2006. Prime Minister Lotay Tshering since 2018. You must arrange any visit to Bhutan through an authorised travel agent well in advance. Car and motorbike accidents are one of the biggest causes of injury and death overseas. If possible, avoid travelling at night. Always travel in a well-maintained vehicle with seatbelts. Although there’s no recent history of terrorism in Bhutan, attacks can’t be ruled out. In Bhutan you should take local law and customs seriously. If in doubt, you should take advice from your tour guide. Druk Air (Royal Bhutan Airlines) is the National Flag carrier in and out of Bhutan. Daily air services between Paro and Bangkok and Paro and Kolkata and weekly services between Paro and Kathmandu are also operated by Tashi Air (Bhutan Airlines), an independent Bhutanese airline. A domestic flight operated by Druk Air flies between Paro, Bumthang, Yongphula and Gelegphug. Flights can be subject to disruption due to weather conditions. Accidents are common, particularly in monsoon season. Observe the speed limit and make sure you have adequate insurance. Special care should be taken on highways, where conditions are often dangerous. If you’re visiting Bhutan as a tourist, you should request temporary authorisation to drive through your tour agency. For longer stays, visitors can request a Bhutanese driving licence from the Road Safety and Transport Authority of Bhutan upon presentation of a valid UK driving licence. Although there’s no recent history of terrorism in Bhutan, attacks can’t be ruled out. You should be aware of the global risk of indiscriminate terrorist attacks, which could be in public areas, including those frequented by expatriates and foreign travellers. Foreigners, with the exception of citizens from India, Bangladesh and the Maldives nationals, may only enter or depart the country through certain towns such as Phuntsoling, Samdrup Jongkhar and Gelephug (by road) or Paro (by air). You will need a passport and visa to enter and exit Bhutan. Visas are only issued on arrival, but you must apply in advance through a tour operator and receive visa approval before you travel. Keep a photocopy of your passport visa pages and flight ticket separate from the originals when travelling. All visas are approved from Thimphu and are only issued to tourists booked with a local licensed tour operator, either directly or through a foreign travel agent. Applications for tourist visas are submitted by the tour operator. All visitors (except nationals of Bangladesh, India and the Maldives) must obtain visa clearance from Thimphu before coming to Bhutan. More information, including a list of authorised tour operators in Bhutan, may be obtained from the Tourism Council of Bhutan. For further advice on tour companies you may contact the Honorary British Consul to Bhutan. The Tourism Council of Bhutan sets a non-negotiable minimum daily tariff for all visitors to Bhutan. The rate includes all accommodations, all meals, transportation, services of licensed guides and porters. Cultural progams where and when available will be organised on payment basis. If you are travelling for business or other non-tourist reasons you must arrange your visa through your sponsoring organisation in Bhutan. Your passport should be valid for a minimum period of 6 months after the date you intend to leave Bhutan. If you plan to stay in Bhutan for an extended period of time you may also wish to make contact with the British Honorary Consul to Bhutan. There are restrictions on the import of medicines into Bhutan. You can bring your prescription and other medicines in quantities clearly for your own personal use. You should carry copies of the prescription with you if possible. For larger quantities, or if you’re carrying medicines not for your own personal use, check with the Honorary Consul to Bhutan. UK Emergency Travel Documents (ETDs) are accepted for entry into Bhutan, but you will still need an e-visa. ETDs are accepted for exit from Bhutan. 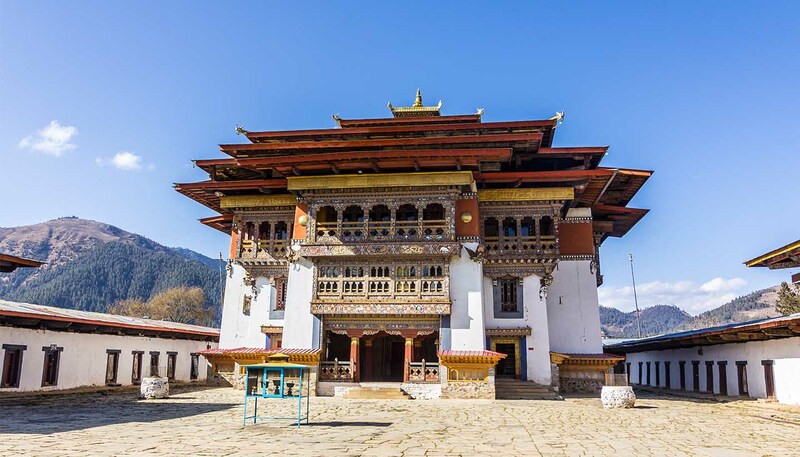 If you need to get an ETD while in Bhutan, you should apply online and then submit a police report to the Department of Immigration in order to transfer your visa to the ETD. If you don’t transfer your visa, you’re likely to face difficulties leaving the country. Local customs and traditions are taken very seriously. You should respect them at all times to avoid giving offence. You should dress respectfully in temples and dzongs (fortified buildings). Homosexual acts are illegal in Bhutan. Although prosecutions are very rare; conviction for a homosexual act could lead to a prison sentence. See our information and advice page for the LGBT community before you travel. There are strict penalties for possession, use, or trafficking of illegal drugs. Convicted offenders can expect long jail sentences and heavy fines. It is illegal to sell or buy tobacco products in Bhutan. Up to 200 cigarettes may be imported on payment of tax and import duty of 200%. You must be able to produce your customs receipt if asked by the police or you will be charged with smuggling and could face a prison sentence of up to 3 years. Smoking is forbidden inside public spaces such as hotels, restaurants and bars. You will need prior authority to visit some parts of the country. This is usually arranged by your travel company or sponsoring agency. The export of all antiques is strictly prohibited and monitored. The Tourism Council of Bhutan Website has useful tips for travellers. Monsoon rains cause landslides that can cut off some roads for days. Check access routes before setting off and take extra care. Several parts of Bhutan lie on highly active fault zones. Limited emergency response vehicles, equipment, and medical facilities could increase the impact that an earthquake could have in these areas. The US Federal Emergency Management Agency has advice about what to do before, during and after an earthquake. The legal status and regulation of some medicines prescribed or purchased in the UK can be different in other countries. If you’re travelling with prescription or over-the-counter medicine, read this guidance from NaTHNaC on best practice when travelling with medicines. There is a reasonably well equipped hospital in the capital, Thimphu, with modern diagnostic facilities such as ultrasound, MRI and CT Scan. Outside Thimphu, Bhutanese hospitals provide only basic health care. Make sure you have adequate travel health insurance and accessible funds to cover the cost of any medical treatment abroad, emergency helicopter evacuation and repatriation. Is the world's most expensive visa fee a way for tourists to pay for Bhutan's road to riches? 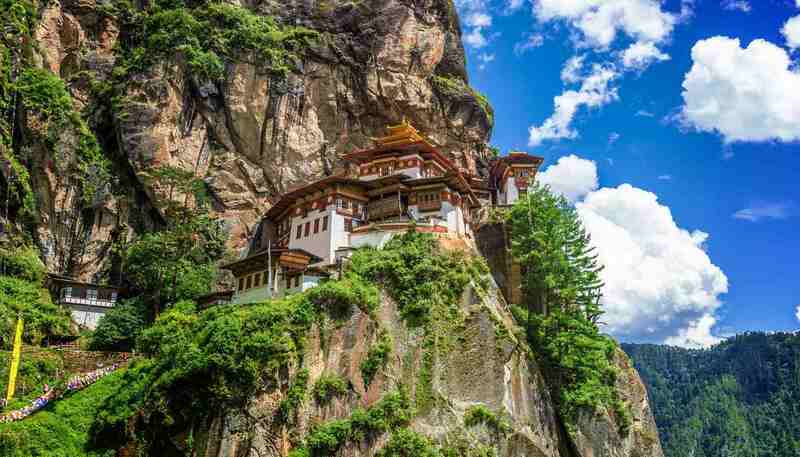 Or is Bhutan truly the last Shangri-la? Kara Fox investigates.